Do you sometimes feel that in the hustle and bustle of Christmas parties, shopping, presents and decoration that the real reason for the season seems to get lost? Have you been looking for ways to have a more Christ centered Christmas? As a young mother, I wanted to start family traditions that focused more on Christ. We started having a devotional each night before Christmas in December. This has been a family tradition for over 28 years! The tradition was so wonderful for our family, we also created devotionals to celebrate other holidays, as well. In 2015, we created this full color, classics based Christmas devotional: A Classic Christmas Devotional Anthology. A Classic Christmas Devotional Anthology is a Christ centered, classics based anthology of Classic Christmas themed full-color art work, Bible verses, quotes, the Spirit of the Season Challenges (a Christmas focused activity each day), poems/carols, and classic Christmas stories. Bonus- Christ Centered Family Christmas Traditions: From Our Home to Yours. This is over 240 pages of content! We have had a family tradition, for over two decades of an evening Christmas devotional, each night throughout December. This is 31 days of KJV Bible based content designed to be used as a daily devotional to focus our hearts and minds on Christ and Christmas. This devotional is printable e-format, which can be enjoyed on an I-Pad, Kindle, laptop or printed and placed in a binder. This devotional is customizable to your family's needs. If you have a minute or two or children with short attention spans, just read the daily scripture at one of the family meals. If you have a minute more, add the quote. What if you have five minutes, then add the poem or Christmas carol. If you would like a wonderful way to start or end the day and have perhaps 10 minutes or more, take the Spirit of the Season Challenge and include the Classic Christmas stories; some are very short and others are a chapter from a classic story. This is a tradition that can grow with your family. We invite you to enjoy this new Christmas family tradition! Start a new tradition! Celebrate ﻿Christmas﻿ all month long! A Classic Christmas Devotional is a 31 Day Anthology of over 240+ pages KJV Bible based content, designed to be used as a daily devotional to focus our hearts and minds on Christ and Christmas. Daily Bible verses, quotes, the Spirit of the Season Challenges (a Christmas focused activity each day), poems/carols, and classic Christmas stories. Bonus- Christ Centered Family Christmas Traditions: From Our Home to Yours. Digital / Printable e-format. Click the link below to purchase A Classic Christmas Devotional, today! If you love this you will want to check out our Classic Thanksgiving Devotional! Sample Day 1 ~ Each day begins with a Classic Christmas Art work with Credits below, followed by scripture, a quote, The Spirit of the Season Challenge, a Christmas Carol or Hymn, or Poem, followed by a short Classic Chritmas Story. Then after all of the days, we share our Family Christ Centered Christmas Traditions. So you have Art appreciation, poetry, literature, music, foundation for devotions, plenty of copy work of either scripture or quote, and daily activities. 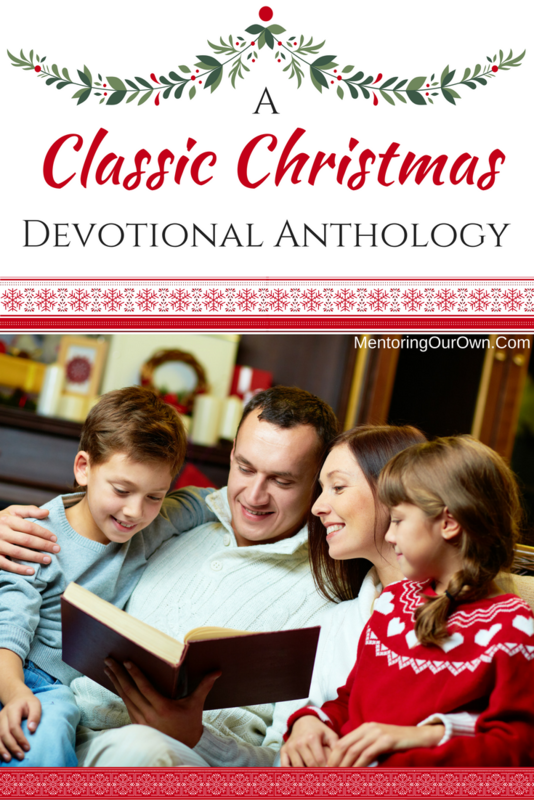 This is a g﻿reat ﻿start for Homeschooling Christmas or a daily Family Devotional. 1879, by Edward Burne-Jones (1833-1898), British Pre-Raphaelite Artist. "Best of all, Christmas means a spirit of love, a time when the love of God and love of our fellow men should prevail over all hatred and bitterness, a time when our thoughts and deeds and the spirit of our lives manifest the presence of God." Prepare for Christmas by placing an empty manger on display with straw in a container next to it. When someone has rendered a good deed or service, the receiver of the service gets to place a piece of straw in the manger. One dollar and eighty-seven cents. That was all. And sixty cents of it was in pennies. Pennie saved one and two at a time by bulldozing the grocer and the vegetable man and the butcher until one's cheeks burned with the silent imputation of parsimony that such close dealing implied. Three times Della counted it. One dollar and eighty- seven cents. And the next day would be Christmas.